October was the second month this year when domestic coal sector achieved a green result (51.6m PLN). And although it was three times less than in August, it is still a good sign for an industry, that by average brings 150m PLN o loss each month. 15 managers wants to be the new CEO of Jastrzębska Spółka Węglowa, having 7.5bn PLN of debt. All the interviews will be run tomorrow. Meanwhile, Paweł Orlof, who lost his job in Enea was also removed from the Supervisory Board of LW Bogdanka. 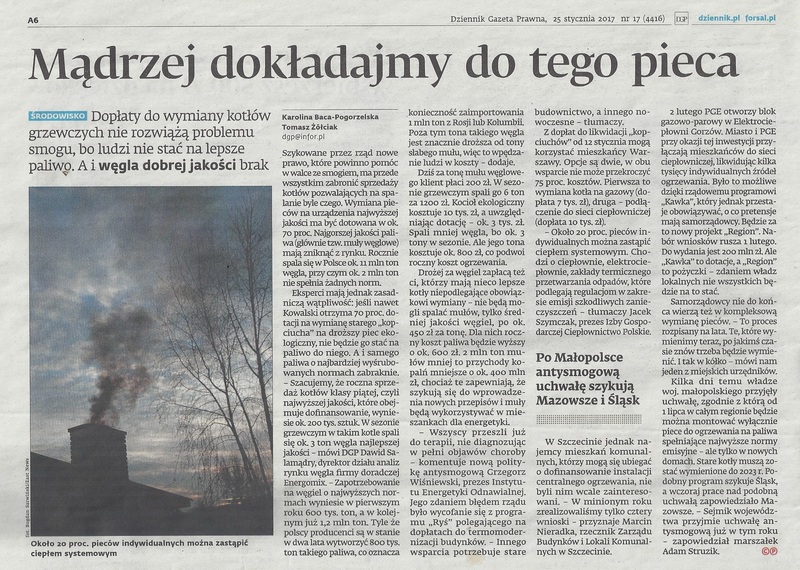 …unfortunately, his moronic comment was soon after repeated by the Polish Minister of Development Mateusz Morawiecki, and later quoted by Platts Coal.